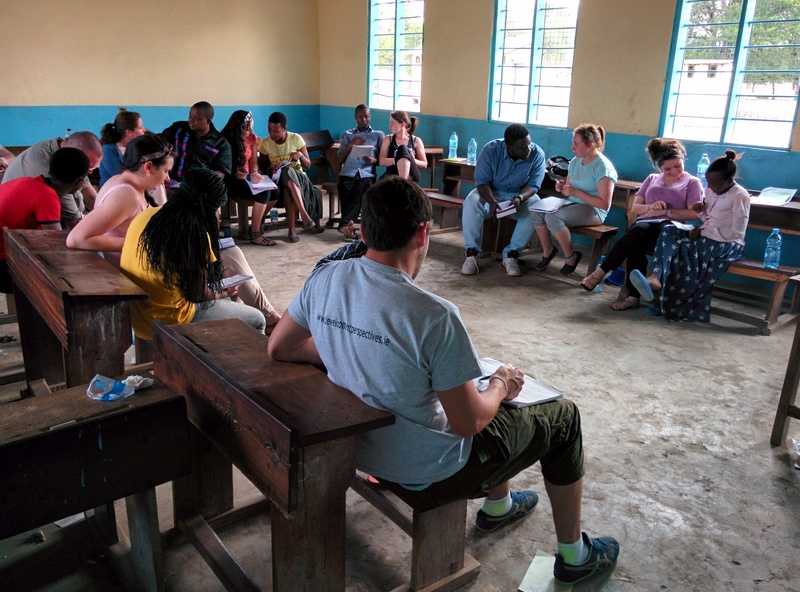 This is a short summary of what happened in the summer 2014, when I went to Tanzania to take part to “Insight”, a fantastic project organised by the Irish friends at Development Perspectives with Uvikiuta in Tanzania. 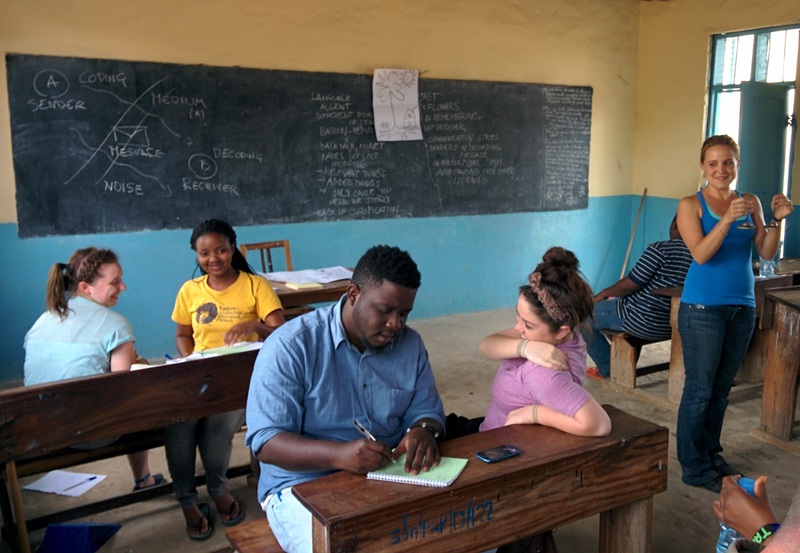 Insight is a year-long learning programme on Global Education that takes part in Ireland and Tanzania. 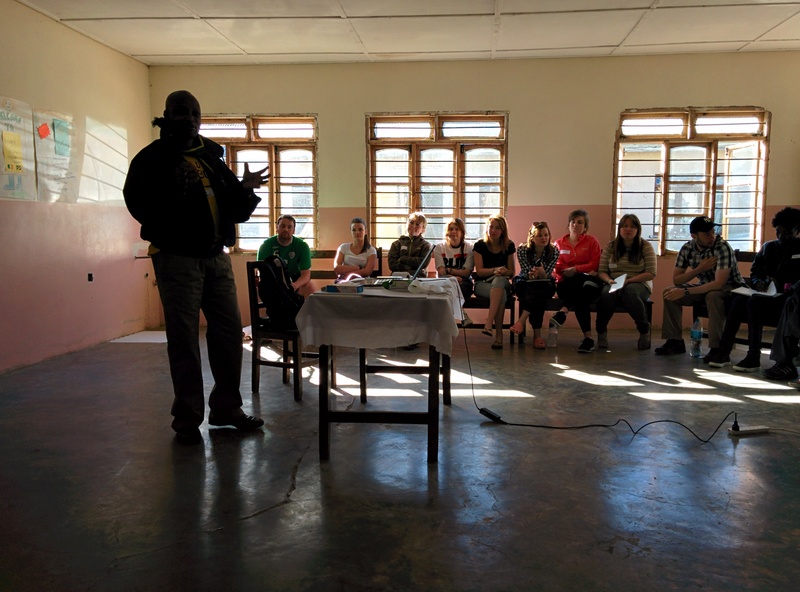 It involves students (no real age requirement, from college up) from both countries in an exciting process based on three parts: 1) preparation of the Irish group, in Ireland; 2) experiential phase, when both groups meet in Tanzania and work on a joint project; 3) when both groups meet back in Ireland, to evaluate the project and promote its results. 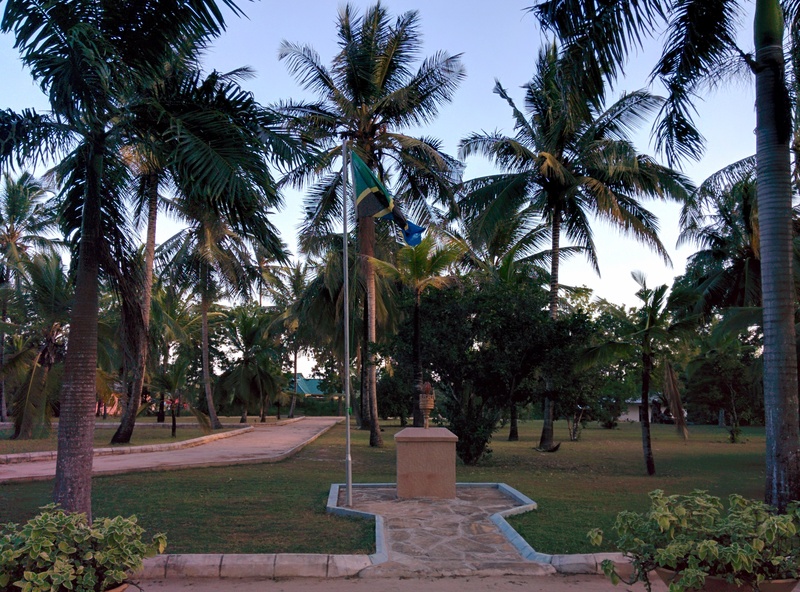 Uvikiuta has a fantastic headquarters near Dar Es Salaam, in which they host international groups, together with realising a number of interesting local projects. Now, let’s make things clear: it’s not one of those programmes “oh, let’s go and help the poor Africans to get developed”. Quite the contray. It’s been conceived from the beginning as a horizontal learning programme with no hierarchy, where all people involved learn from each other, namely about global issues and on how to deal with prejudice(s), but first and foremost about themselves. This is actually the main reason why I am happy – and very proud – to be involved in it. In 2014 I had the privilege of taking part also to the stage 2 in Tanzania, together with my wife Bara, and I am not afraid to say that that was one experience that has changed our life. Such is the power of the programme. 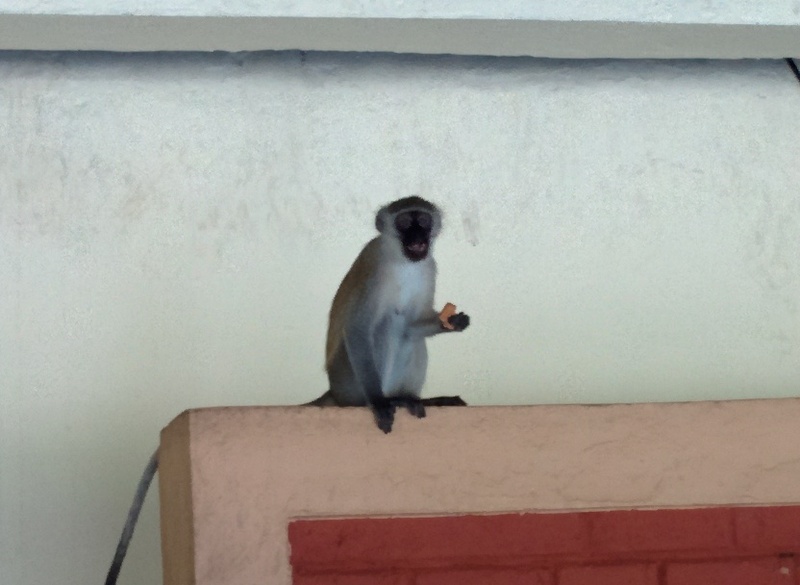 Monkeys are really everywhere in Uvikiuta! Can you spot the second one? Here is a picture from the dining hall. They were even joining our meetings. First of all, it was my first time in sub-Saharian Africa. It’s not an overstatement to say that it really is another world. On so many levels. Going so far really does put many things in another perspective: what we consider “normal”, or “nature”, just to name two elements. Economics, development, education, religion, history, food… everything comes in the picture, really, and I had so many moments of Insight – exactly – really, the title of the programme couldn’t be more appropriated. I was (supposed to be) one of the trainers and facilitators of the intercultural process, but I was so humbled by the vastity of everything that happened there, that in the end I consider myself lucky I could simply take part to it. Never mind to contribute, a little bit. The group goes for a guided tour of the venue! The group realised a strong preparation phase, and I joined them in one of the residential weekends (of which I seem to have kept no photo, sorry guys!) in Ireland. We tackled all the main programme details and a lot of practicalities, plus worked on topics such as communication, teamwork, project work. I even managed to slip through a condensed version of the Hero’s Journey walk (this part was to be repeated, in the 2015 edition, in its full glory). Then it was time to depart to Tanzania. It was June-July 2014. I honestly felt challenged in so many levels, it was for me like being abroad again for the first time. Familiar expressions like “comfort zone” and “prejudice” acquired a stronger, new meaning and I found myself surprised again and again with my own feelings and reactions. 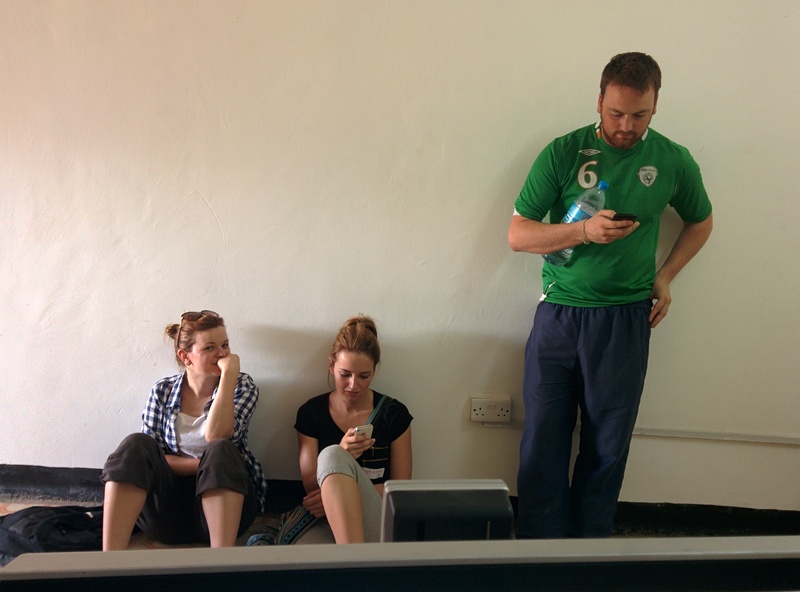 One of the (rare) moments of relax with the Irish team of facilitators in Mbeya. Walking alone at night in the camp at Morogoro, for example. 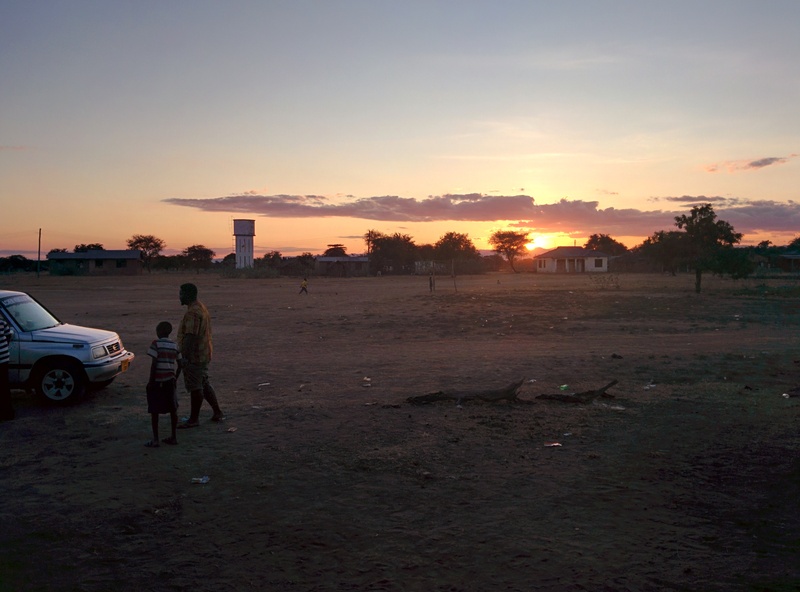 It was a tiny village quite far from the nearest city, and we lived close to a local community of Maasai. I honestly think I was as safe as I could possibly be. And yet, how did I feel? I surprised myself wondering about it (and I am still ashamed of it). Also, the feeling of being “different”, and “the stranger” (mzungo, in Swahili): the only white guy in a bus, or walking down a street, for example. The simple colour of my skin was telling out more things about myself, than I was willing to express. It put A LOT of things in perspective. How do the immigrants feel in Europe, for example? Vulnerable, lost, “alien” as I felt at times? 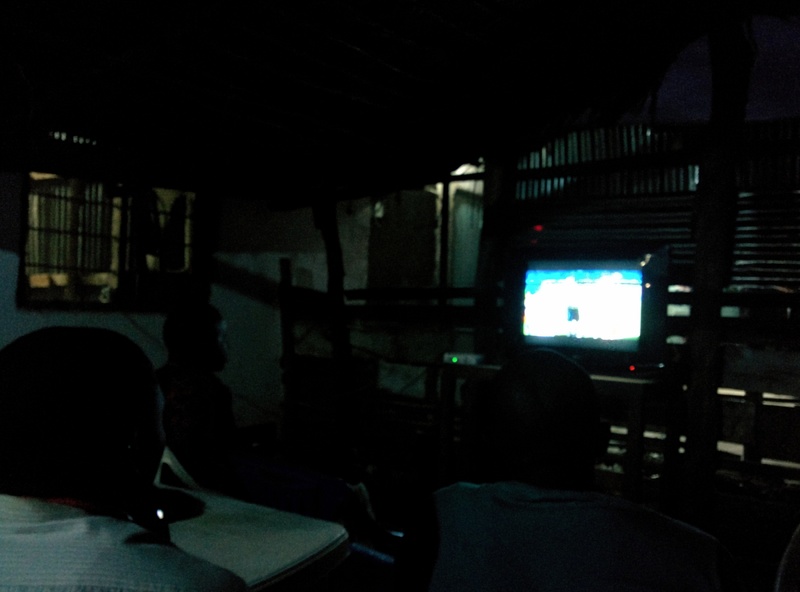 The picture isn’t really clear, but it shows me watching football in the local community bar in Morogoro. 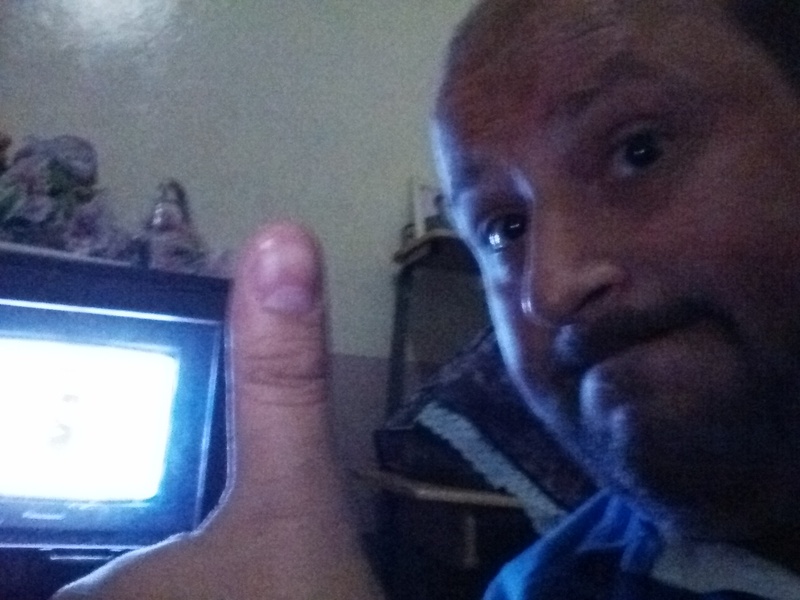 Football world cup was on big time and I was very welcome to follow every match with the local fans. What an experience! Here is me trying to catch up with the matches involving Italy. Brazil 2014 was such a disastrous experience for The Azzurri, I was glad it was over soon. Locals were asking me all the time if I was acquainted with Balotelli, though. Another strong emotion I became acquainted with goes under the name of “White Guilt”. I still have contrasting feelings about it. It basically implies that one, confronted with the high level of inequality present worldwide – starts feeling guilty just because of one’s geographical provenience. I know I shouldn’t feel responsible for what Europeans did in the past – and in so many cases, are still doing. Or at least, not guilty. But I did. I do! And I cannot stop thinking that the level of privilege and the high standard of life we enjoy in the so-called “West” are owed, in considerable part, to the robberies and violence that have been committed in the past towards a huge number of people from other countries. It certainly goes on today. This is simply a new level of awareness that I cannot un-learn. 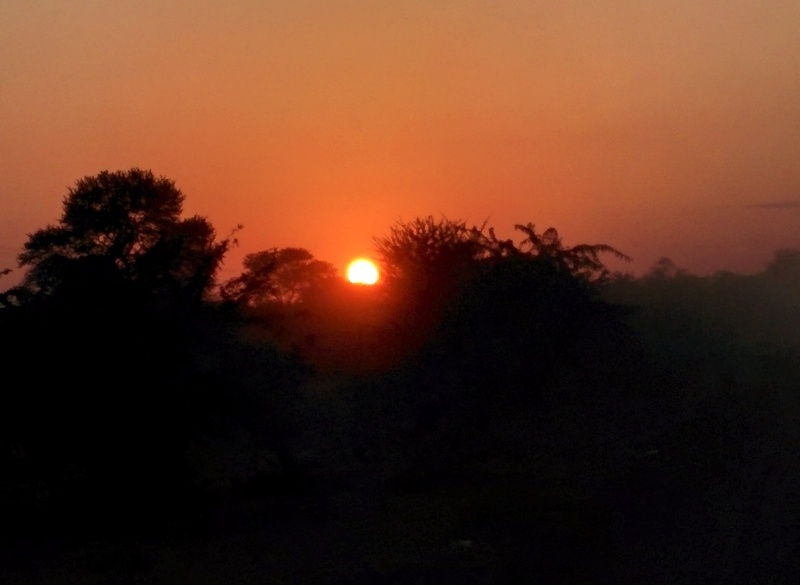 An amazing view of the sunset in the plains near Morogoro. The sky has something different at the equator. In many aspects, areas of Africa are still the world’s garbage dump. Materially, socially, economically. And not only of the western world: nowadays, even an occasional traveller will see the results of Chinese neo-colonialism there. I didn’t want to document this on pictures, because I don’t think it would do a fair service to the wonderful people I met on my journey. But the evidence is there, and it’s shocking. Slavery is abolished, apartheid is a thing of the past, but let’s just say this: there is still a lot of work to do. On ourselves. Here is Ben Mongi, chairman of Uvikiuta, presenting the organisation. The group would have a mixed programme of workshops and volunteering activities. Very enriching. Or, to mention another case. A simple question I ask myself, every day: “what do I fancy eating for lunch?“. Just in my neighbourhood I can choose between so many options. It’s time to acknowledge that too is a privilege, sometimes a shameless one. What is the cost that I inflict on the planet, and on other people, every time I order a specialty from another continent? Or I buy myself just another pair of sport shoes produced in Indonesia? That, too, is a realisation that is now an integral part of me. A true Insight. Bara and Suspido, one of the local kids, learning about each other’s education systems. The kids were fluent in English (age 10). But enough with the guilt card. Insight for me was also much, much more. We visited two different camps. One was near Mbeya, a city some 800 kms west of Dar Es Salaam, very close to the Zambian border. 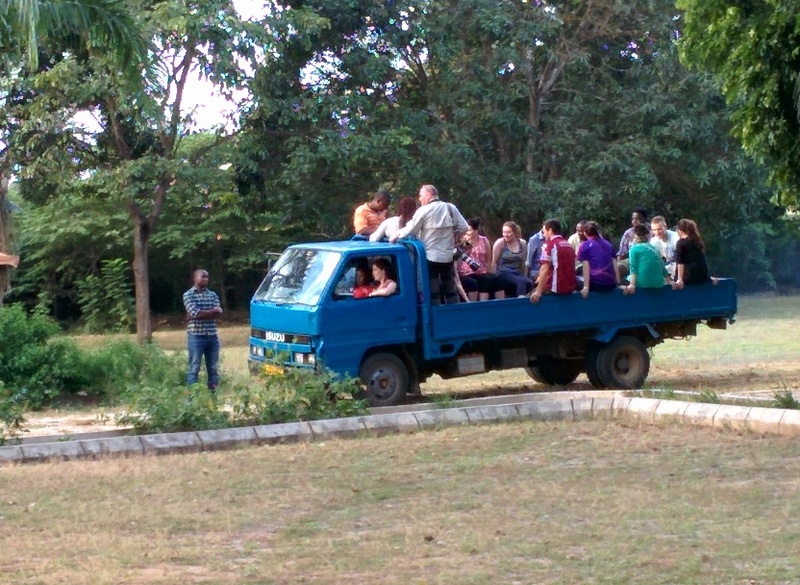 On our way from Dar Es Salaam to Mbeya. 12+ hours of bus ride that I will never forget. 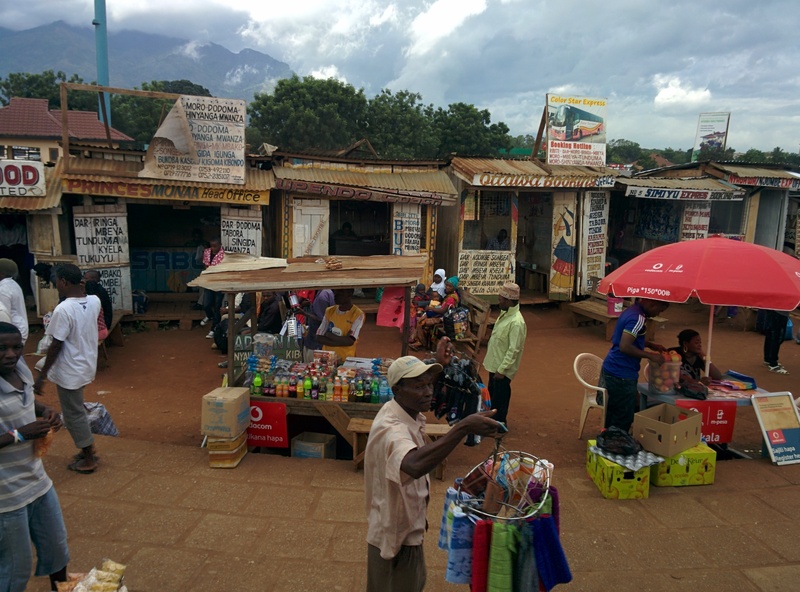 At every stop, local sellers would try to approach customers to sell… just about anything. I bought cookies! 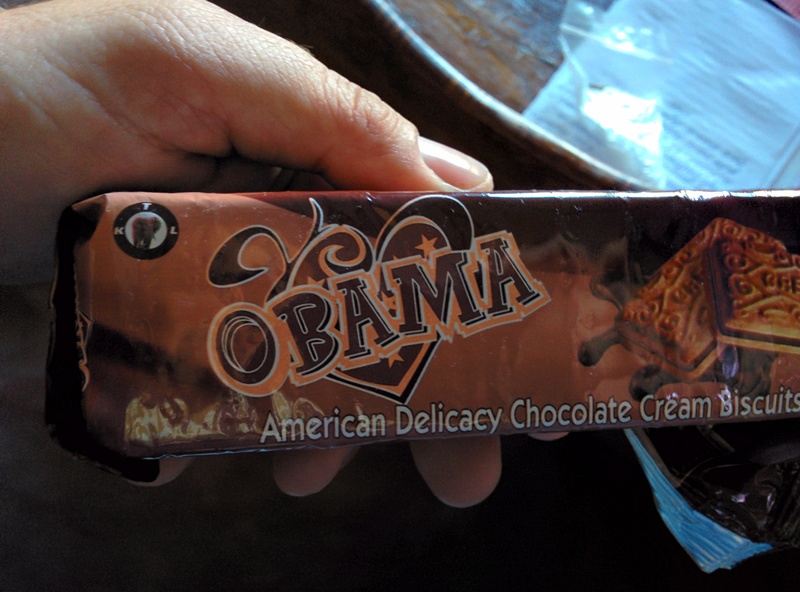 Apparently inspired by… an American president who enjoys a certain popularity there. 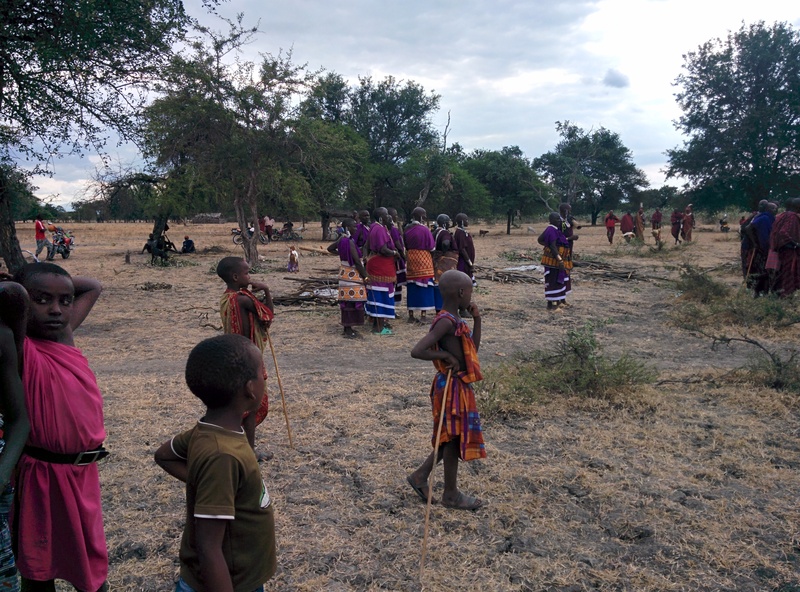 From there, we moved on to the second camp, in a tiny village near Morogoro, in a community that lived in close contact with a traditional Maasai village. 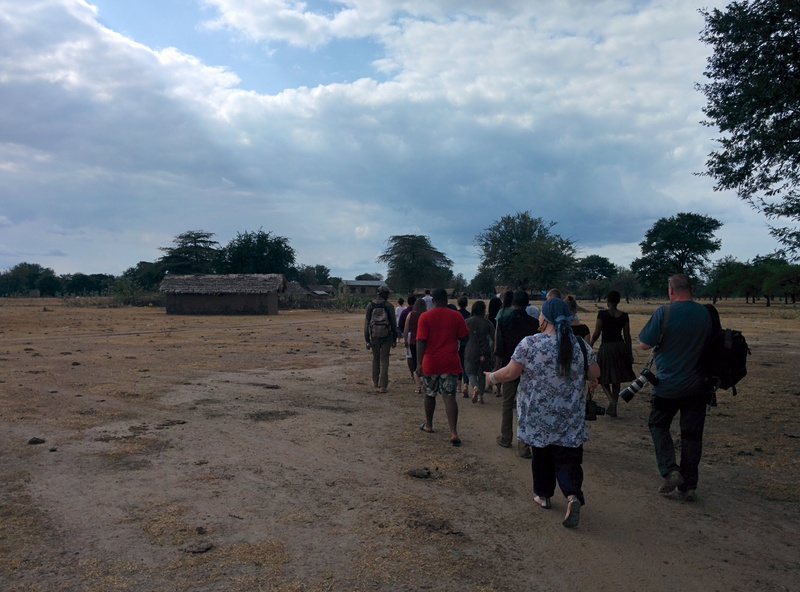 Our group walking to the camp at Morogoro base, to visit the local Maasai community. We were invited to witness a local ceremony, in which two men were declaring their friendship and union in front of the whole community. Women, men and children were participating in separate groups, at first. The ceremony involved as a present, a goat skin. 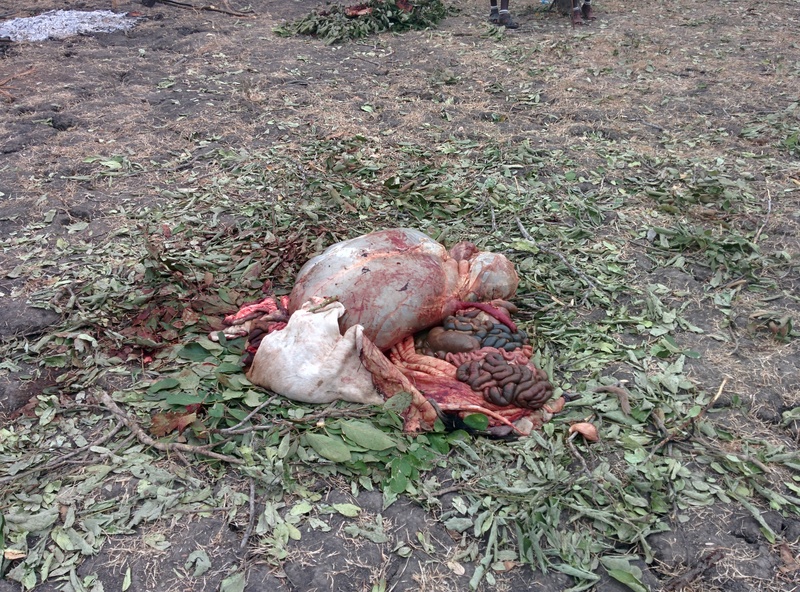 This is… what was left. To be there, immersed full time into a totally different culture allowed me to really appreciate it in all its aspects. History, religions, economics, politics, I managed to get new points of view on all of it. It was a real intercultural learning experience. First of all, what I did not see: the extreme poverty. Yes, a lot of people there live a simple life. Compared to some of the western standards. But forget the shocking pictures we associate to the notion of “Africa” sometimes. That story is also true but it doesn’t apply everywhere, just as there are huge differences in the standard of living across Europe, America, and everywhere else. Tanzania has enjoyed peace and stability ever since its foundation in the sixties, and has had no major internal conflict. Not an easy achievement, since it comprises more than 120 ethnic groups. Sure, it’s had its share of tensions (and suffered a military aggression by Idi Amin‘s brutal regime in Uganda, which left scars that are still all but solved), but its relative prosperity is owed in most part to the enlightened vision of Julius Nyerere, its historical president still revered as Father of the Nation. The country is rich with natural resources, and agriculture prospers. People are happy to be born there, happy to live there and praise its natural beauties even in the national anthem – it really is a place blessed by all gods, as I will widely document in one (or rather two) future posts. 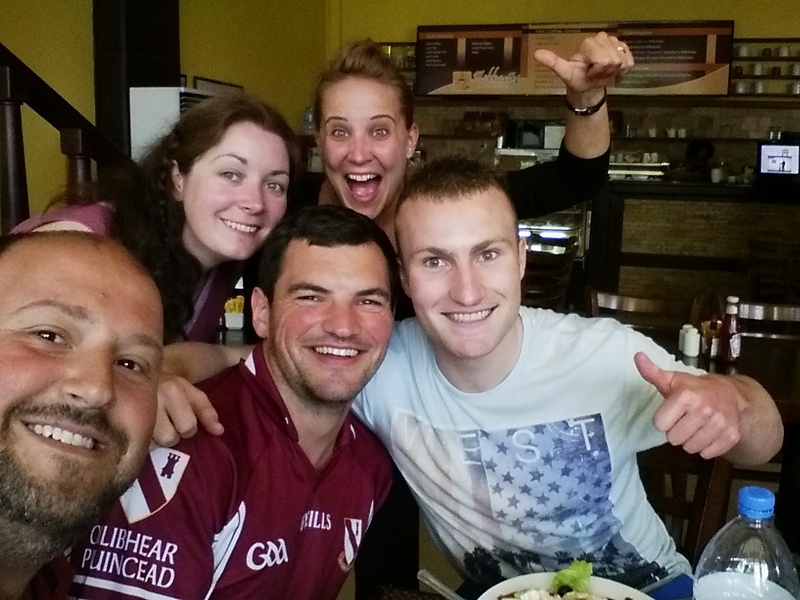 And a moment with part of the Irish group, just before starting the camp at Morogoro! They don’t even think about crossing the sea and putting their lives in danger to come to the “dreamed Europe”. I know because I asked them. The answere was “maybe yes, to study for a while. But I want to live and make a difference here“. Did you hear that, Salvini – Le Pen – Cameron – Trump (etc)? You can sleep safe tonight, for there is no imminent danger of invasion from a country that enjoys economic, social and political stability. Surprise, surprise. More scenes from our work with the group. 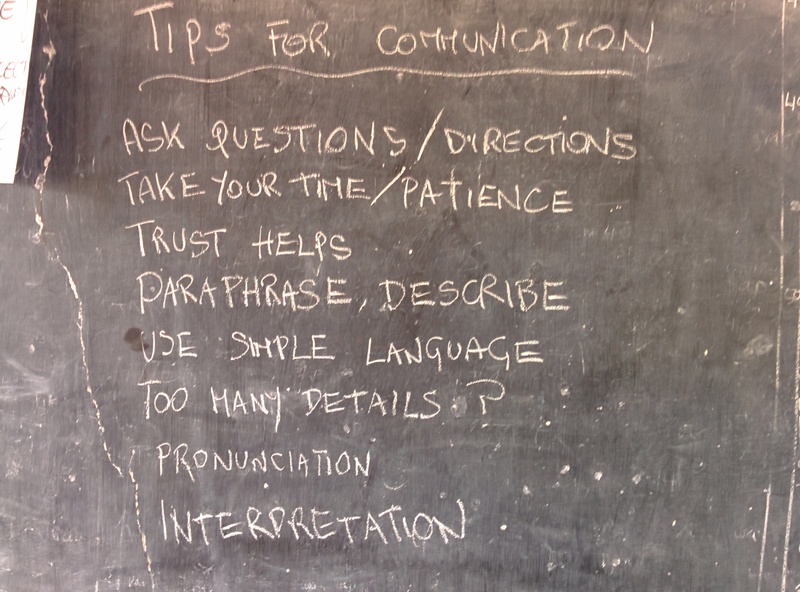 This was “Tips for Communication”. The activities were taking place in the local primary school. Part of which we were also helping to reconstruct and refurbish. 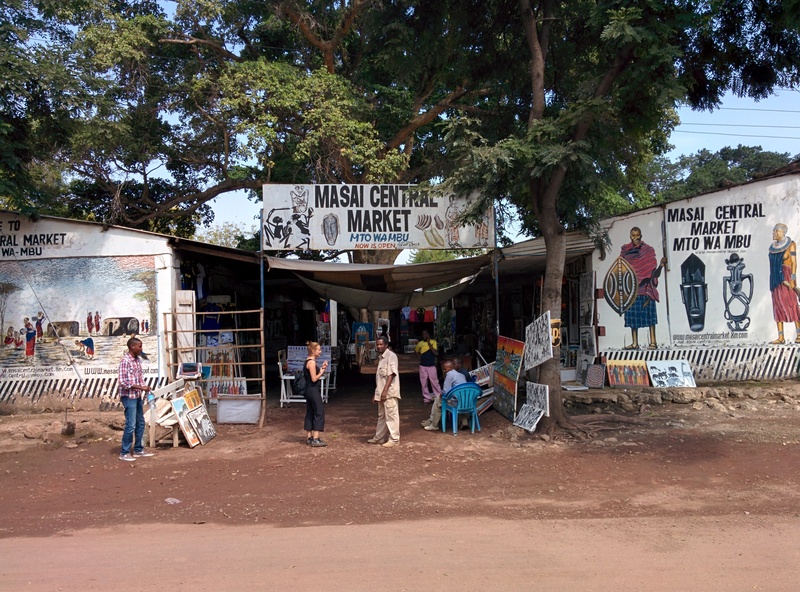 A visit to the local market: Bara talks with our guide. 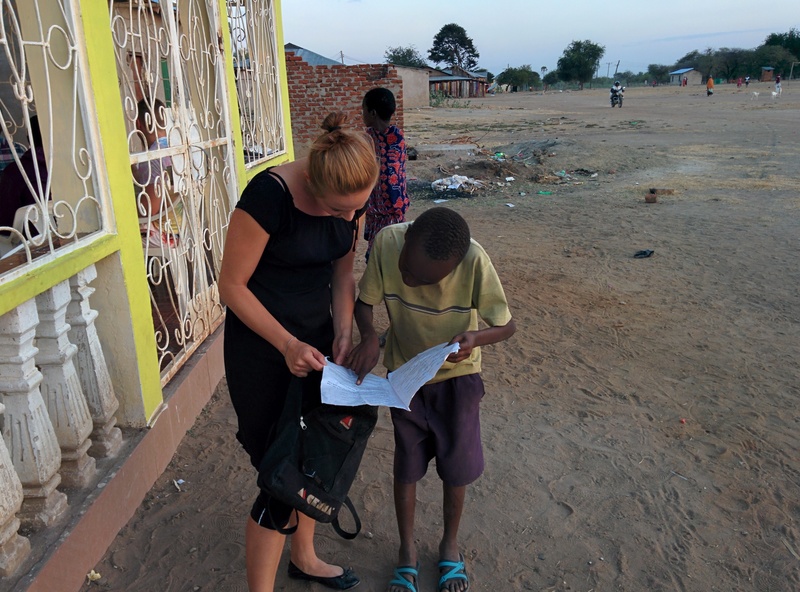 A “walking safari” is also an experience worth remembering, especially if with an experienced guide for the first hand information you can get about people, their life and the local culture. And more importantly: what I recorded without any trace left of doubt is that people from all parts of the world are just the same. No matter what is their education, background, religious belief or political history. Parents want a better future for their kids, and are ready to do utter sacrifices to obtain it – as I remember in particular from the life stories of our taxi driver in Dar Es Salaam, and of the wonderful man who took me and Bara on a walking safari near the Manyara Lake. And young people? 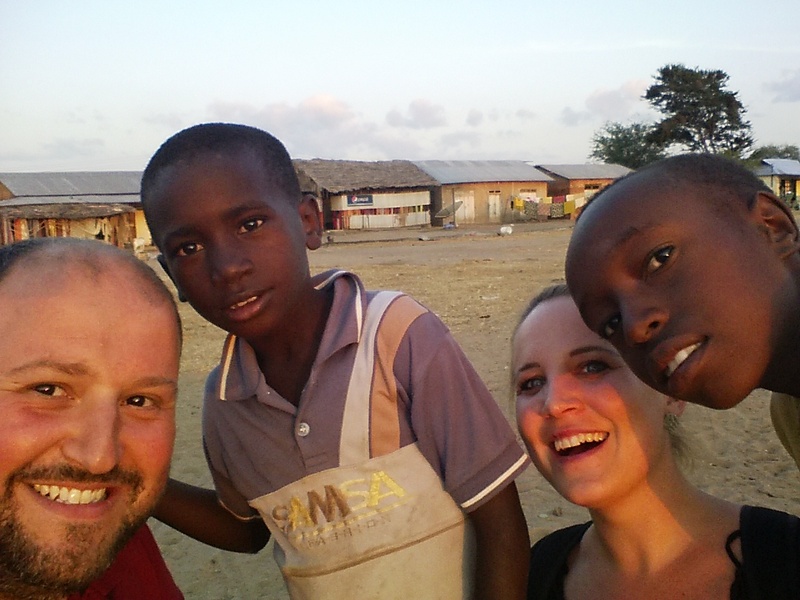 They want to get an education, to travel, and to have a possibility to shape their future. I was shocked breathless by the honest question a student asked me: “Do you have tribes, in Europe?”. It was coming from a brilliant young man, very competent and who could speak fluently several languages (including English). And after my initial surprise, of course I realised “but why should he know about our specific history in Europe? What do I know about his?”. Anyway, I must have answered something like “Well… we had, but we kind of wiped them out long time ago. Now all it’s left are football teams”. 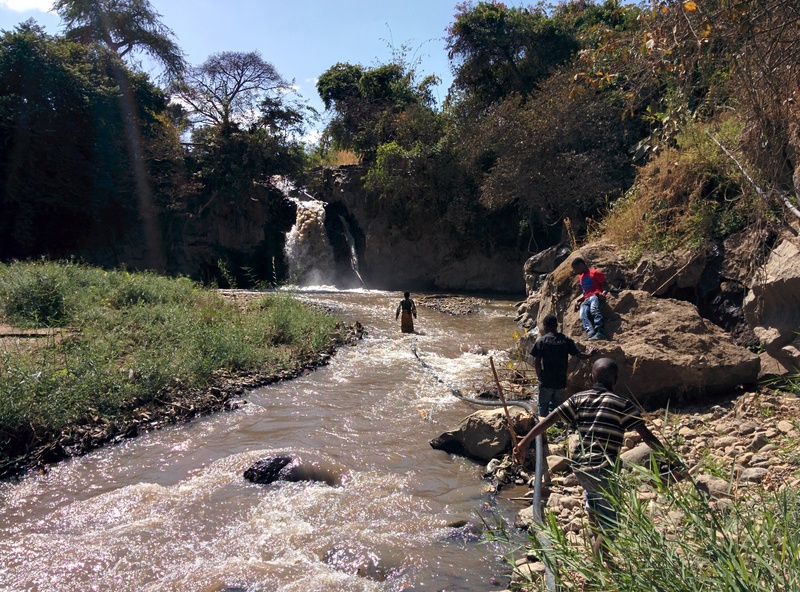 Outside Mbeya, on a free day, we went for a hike along the old Zambian railways. Until we discovered a local waterfall. And lastly, that every community cares for their elderly and those in need – I have witnessed deep acts of compassion and generosity even in poor areas – and in general, people just want to get on with their lives. 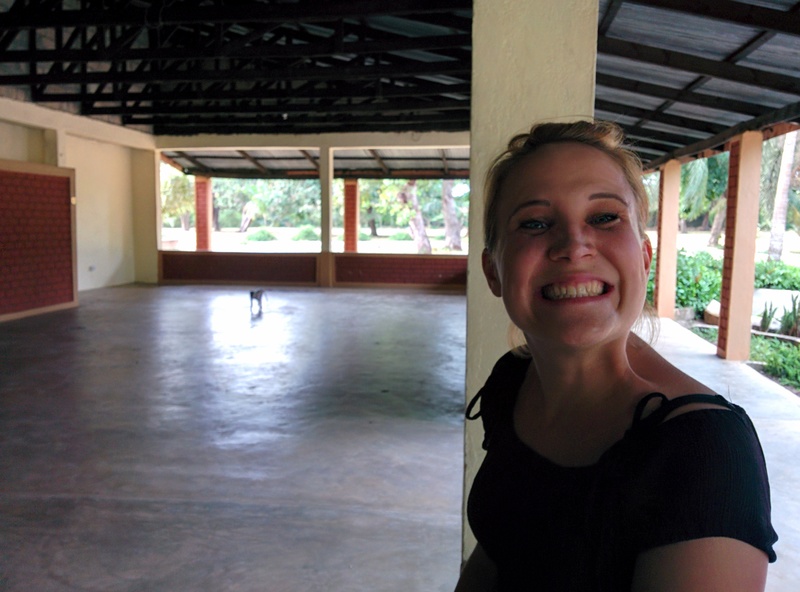 And this a lovely picture to remember our youngest friends at Morogoro. “Don’t forget us”, they said on our last day there. We haven’t. Now. As I write, applications are open for Insight 2016. I am very happy to say that I will probably be able to join this fantastic initiative in 2016, too. So, if you are reading these lines (and you are from Ireland or Tanzania, I am afraid that’s all the options at the moment), contact your local organisation and apply for what can really be an experience that will change your life. As it changed mine, for sure. Sun was rising on our last day at the camp, while it was time to go back home after such an unforgettable experience.